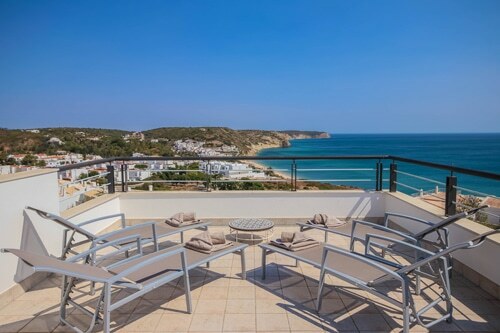 We are proud to be purveyors of perfectly-located unique beach and oceanfront villas in the charming fishing village of Salema, in the historic western Algarve region of Portugal. 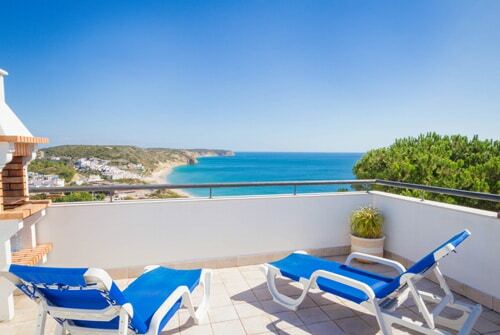 Salema is the ideal beach holiday destination. Our handpicked, exclusive villa collection boasts the finest coastal locations imaginable. The sea vistas are mesmerising. Personal service is at the very heart of Simply Salema, with our dedicated team available to assist with every aspect. 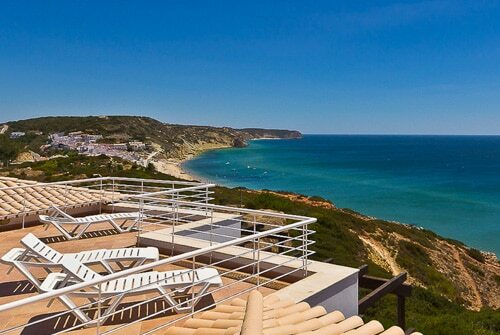 We invite you to stay somewhere a little different, at an intimate Algarve home-from-home. Enjoy a holiday to remember at our magnificent villas in beautiful Salema. We look forward to hearing from you. Beachfront paradise in a unique location. 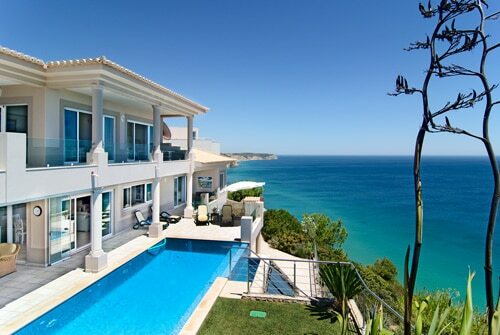 Looking immediately over the ocean and with direct access to a secluded sandy beach, this is perhaps the perfect large Algarve holiday villa. The exquisite Casa da Lana is a contemporary 3-bedroom linked ocean villa with spectacular beach, village and coastal views. Ideal for family, friends or couples, the property is superbly located in a quiet residential area. The splendid Casa Kissa is a cleverly designed and well-appointed 3-bedroom linked villa with stunning panoramic ocean, beach and village views. Ideal for family, friends or couples, the property is superbly located in a quiet residential area. Suspended between sea and sky, the elegant Casa Vista Paraíso possesses the wow factor and is perhaps the ultimate exclusive luxury seafront villa. Casa Tulipa is a splendid luxury oceanfront villa, offering the most beautifully inspirational views imaginable of the Algarve coastline. This modern linked 3-bedroom villa, with private infinity pool, sits in a dream spot overlooking Salema beach in our stunning corner of Portugal. 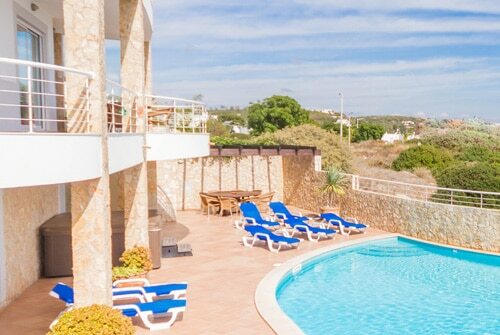 Take a look at our Simply Salema blog for further information regarding holidays in Salema & the western Algarve in general. We’re pleased to offer discounted rates for longer winter lets of one month or more in duration. Please contact us to discuss your holiday dates and proposed length of stay.